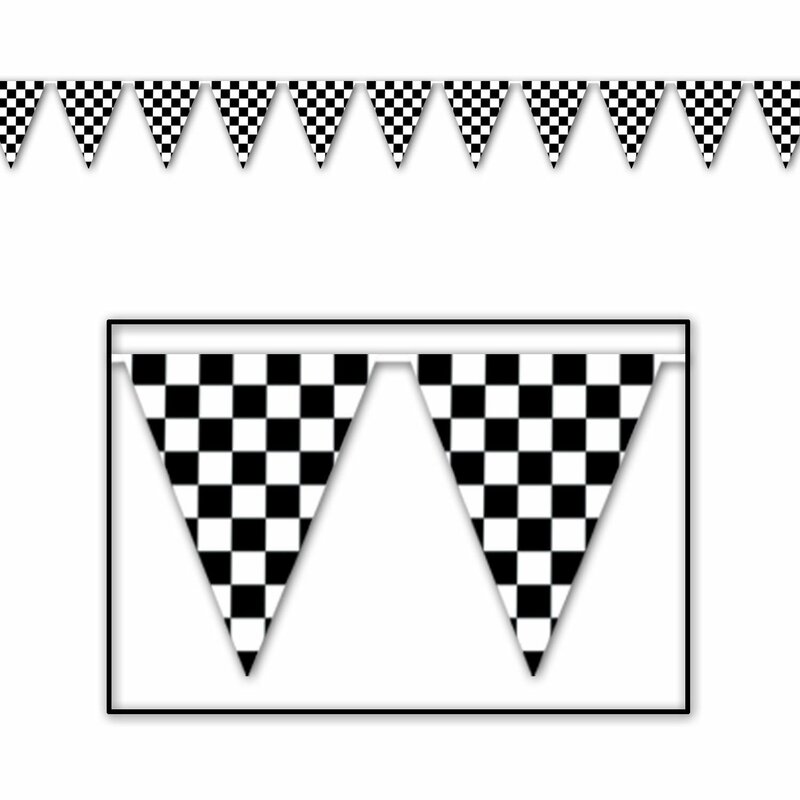 SKU: B50703 Categories: Black, Black Check, Bunting Flags, Construction / Big Rig, ON SALE! 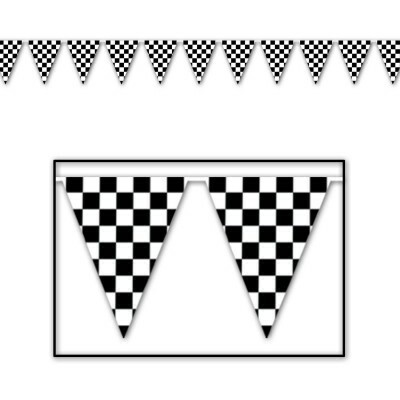 This all weather plastic, reusable, outdoor pennant Bunting ~ Black Check is a great option for a racing, rock ‘n’ roll or rockabilly inspired party! Being just over 9m in length, you can use this to decorate a large space and, being plastic, it is perfect for using outdoors. Coordinating plates, cups, napkins and table cover available.